Keep your food fresh and organized in these versatile silicone bags by Lekue. 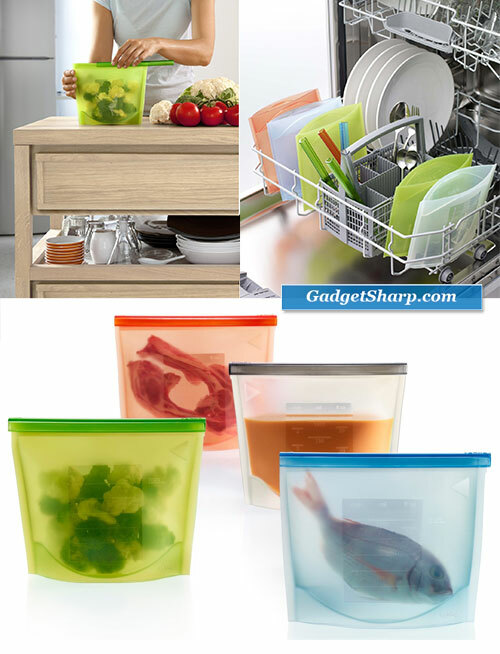 The 1 Liter bag can be used for hot or cold food, you can reheat it. freeze it, or use it as a storage unit. The surface features a writeable label that you can write on again after washing. Bags are dishwasher safe. Zevro’s Indispensable Dispenser SmartSpace Edition features space-saving, contemporary design. 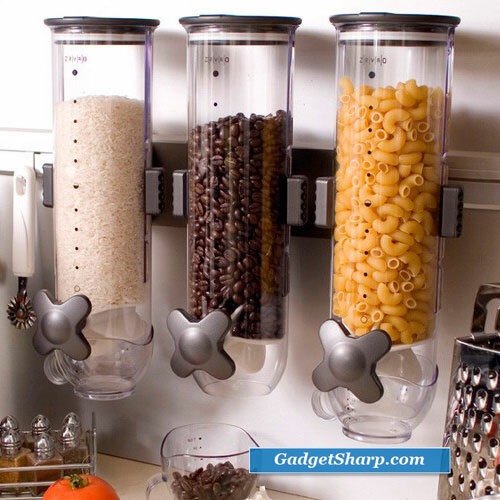 Convenient storage and portion control distributing 1 ounce per twist. Allows for as-needed dispensing, keeping food sanitary and germ-free. Suitable for dry foods, and designed to preserve freshness for up to 45 days. 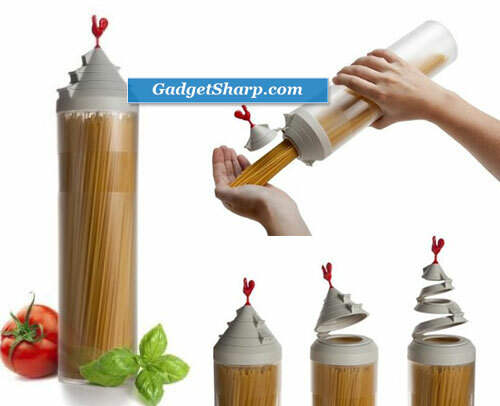 Canisters are made of scratch-resistant and shatterproof materials. Each canister holds 1 liter or 13 ounces of dry food. The Vacu Vin PopSome Nuts and Candy is a convenient container that pops open to pour and serve and then seals again for storage. 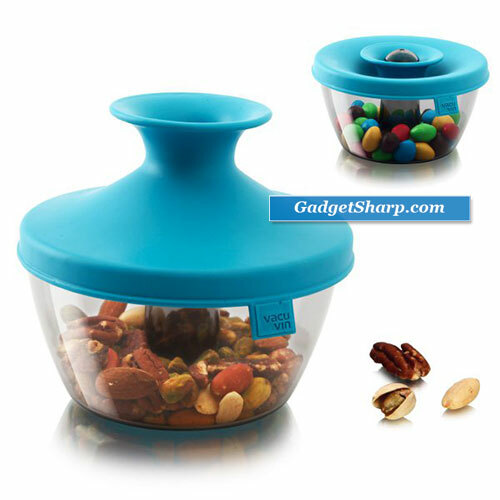 The flexible lid pops up to pour out candy or nuts so hands and germs never touch the food. Push down to close the lid and the patented Oxiloc system creates an airtight seal after use. Keep flour, oats, coffee grinds, sugar, and other essential kitchen staples fresh in these attractive canisters from Polder. 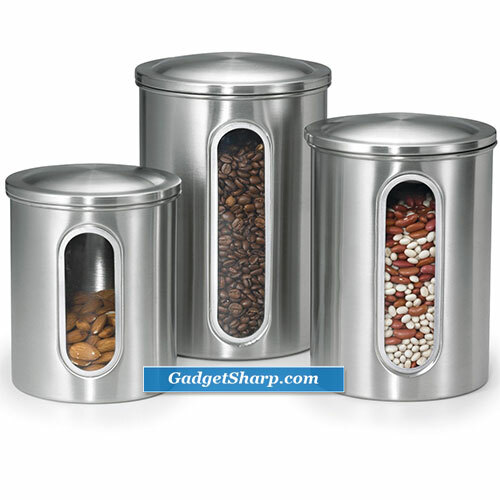 The three-piece set canisters with a sleek, durable, stainless steel design that complements any kitchen decor.